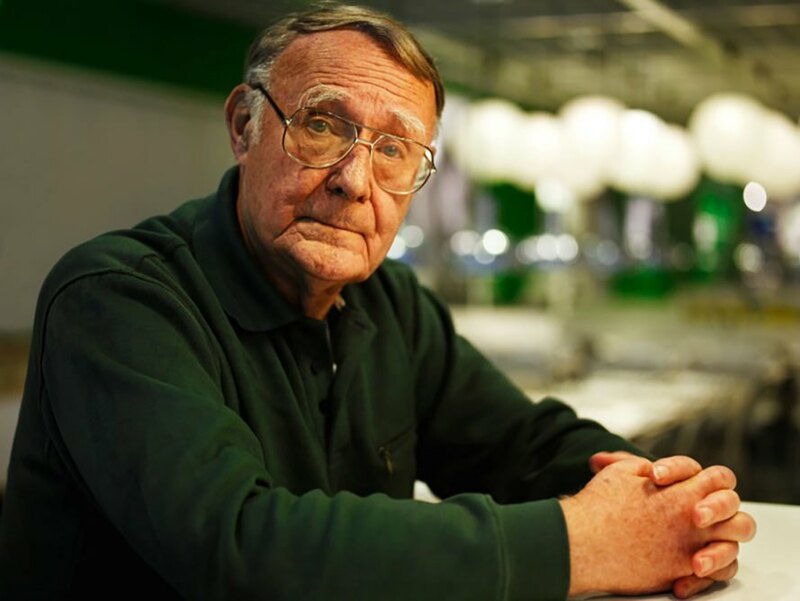 IKEA founder Ingvar Kamprad died over the weekend at the age of 91. Kamprad founded the global behemoth in 1943, when he was just 18 years old. Though he became one of the richest people on the planet, he lived frugally, buying used clothes, eating lunch at his own stores and even moving from country to country in order to pay lower taxes. Kamprad stepped down from the company in 2013, after helping to build IKEA into a $44 billion company. IKEA is arguably one of the most important design companies in the world, providing contemporary furnishings at an affordable price point to homes across the planet and changing the way we shop for furniture. 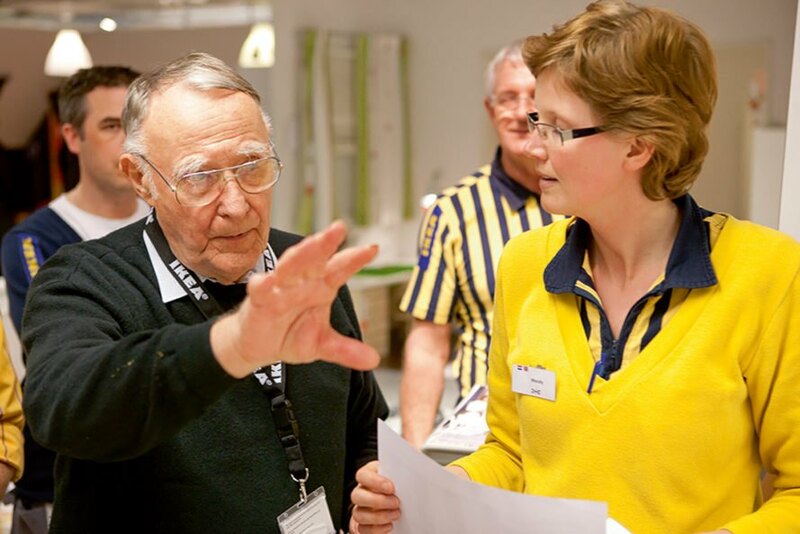 Kamprad founded IKEA as a small mail order company and then moved to retail in the 40s. IKEA’s first store opened in Almhult, Sweden in 1958. Today, there are 411 IKEA stores in countries ranging from Saudia Arabia to Slovakia and beyond. Kamprad was obsessed with innovation and affordability, which helped him build IKEA into the furniture giant that it is today. That frugality seeped into his personal life, as well. He was known to pocket salt and pepper packets from restaurants, bought his clothing at flea markets and recycled his tea bags. Kamprad’s life hasn’t been without controversy. He has received criticism for dodging Swedish taxes, and was a Nazi sympathizer in his youth, a decision that he called the “greatest mistake of his life”. IKEA is arguably one of the most important design companies in the world, providing contemporary furnishings at an affordable price point to homes across the planet and changing the way we shop for furniture. 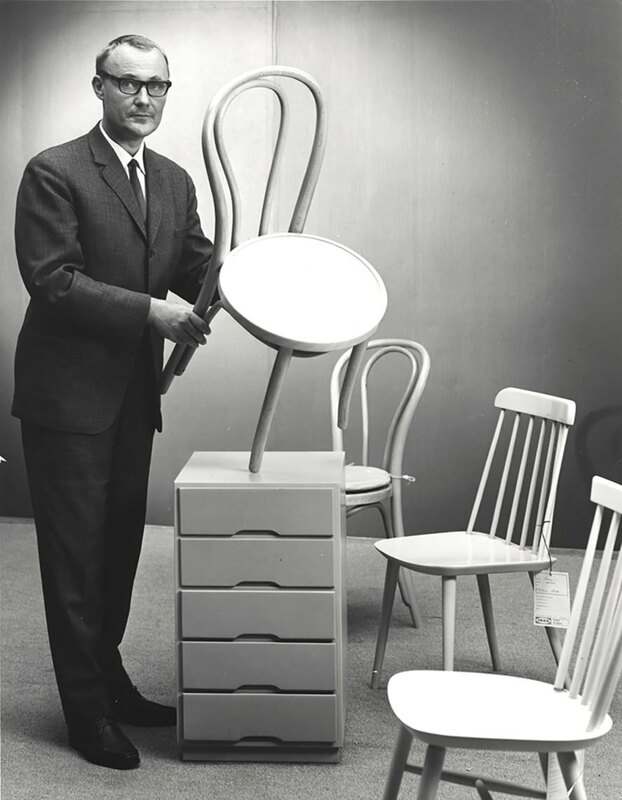 amprad founded IKEA as a small mail order company and then moved to retail in the 40s. IKEA's first store opened in Almhult, Sweden in 1958. Today, there are 411 IKEA stores in countries ranging from Saudia Arabia to Slovakia and beyond. Kamprad was obsessed with innovation and affordability, which helped him build IKEA into the furniture giant that it is today. That frugality seeped into his personal life, as well. He was known to pocket salt and pepper packets from restaurants, bought his clothing at flea markets and recycled his tea bags. Kamprad's life hasn't been without controversy. He has received criticism for dodging Swedish taxes, and was a Nazi sympathizer in his youth, a decision that he called the "greatest mistake of his life".